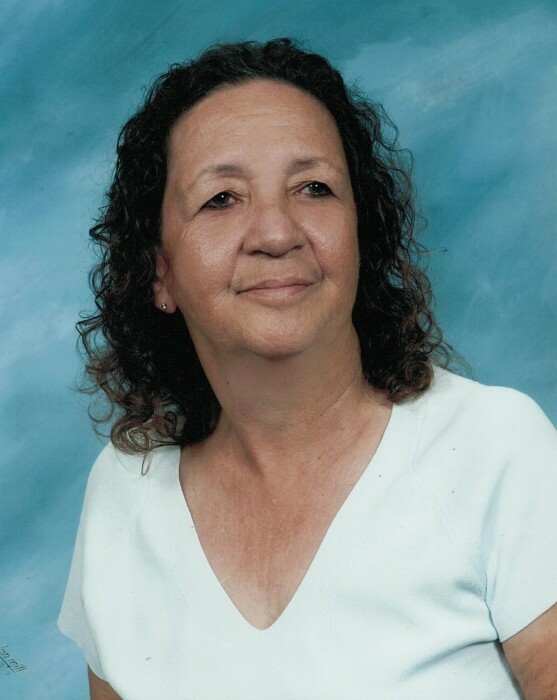 Myrta Poche-DelDuco, best known as “Cindy”, was born August 28, 1943 and passed away January 18, 2019. She was born in Puerto Rico to Ernesto & Tomasa Esteves, their only child. Her dad was a retired firefighter and her mom was a homemaker. She is survived by her two children, Danny Poche and Maribel Burke; 4 grandchildren; and 8 great grandchildren. Cindy spent a lot of time hitchhiking and traveling across the U.S. after raising her children. Because of this she has performed many jobs from accounting, managing, painting, cleaning, etc. Cindy was always full of energy and tended to be the life of the party. She was loved by many and tried her best to help those in need. Throughout the years she took in many that had no homes. She inspired many, and one of her biggest qualities was that she could laugh with others and at herself. She lived her life to the fullest until her health got the best of her. She will be dearly missed and remembered for her smiles and the ways she made us laugh. She has left us with so many memories to pass on to her grandchildren, so as we say good bye to you today you will be in our Hearts and mind.